Our social event of the year. Ticket includes BBQ food, NZ craft beers and wines high on a terrace with amazing views over the City. Live music by the only Flight of the Conchords tribute band in the UK. 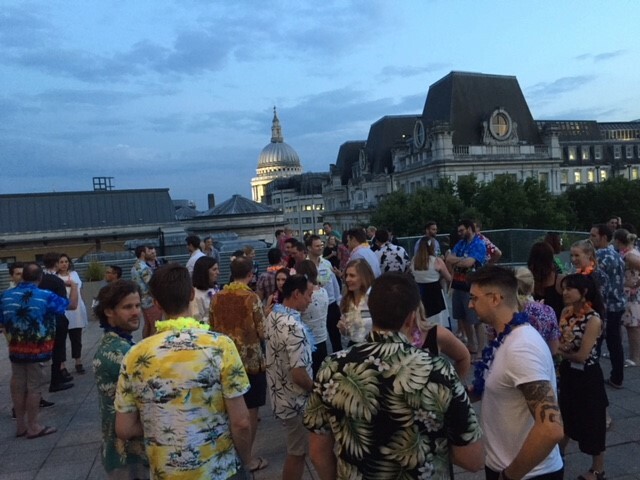 Dress code is "Kiwi Tropicana" - read Hawaiian shirts and jandals. Great prizes for the loudest shirts! This event is kindly sponsored by Osborne Clarke Lawyers, RobLawMax Recruiters and Resolution Property. You need to login or register to book a place in this event. Registration is free and only takes a minute!